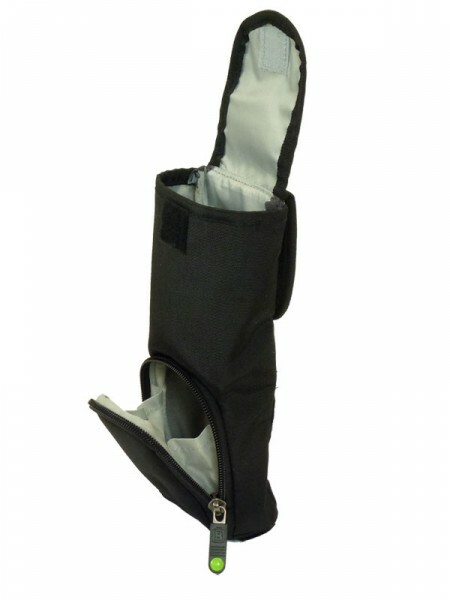 This pocket has two half-height compartments. It holds a small radio plus more accessories like batteries below. The Side Pocket Bravo is a small radio pocket designed for the small aviation radio. There is also room for extra batteries and smaller items.